Government has started an ambitious project of producing indigenous Main Battle Tanks (MBTs). Heavy Vehicle Factory (HVF), Avadi has already produced and delivered 121 Nos of indigenously designed and developed MBT Arjun Mark-I to Army. DRDO has spent Rs.305.60 crore for design and development of MBT Arjun Mark-I while Ordnance Factory Board has spent Rs.86.73 crore on creation of facilities for manufacturing of this tank in its different factories. This information was given by Minister of State for Defence Rao Inderjit Singh in a written reply to Shri CM Ramesh in Rajya Sabha today. Defence Research and Development Organisation (DRDO) has been mandated towards making the country independent of foreign technology in the areas of defence and is primarily engaged in design and development of strategic complex and security sensitive systems for Armed Forces. A number of defence systems designed and developed by DRDO have been productionised by the production agencies and inducted into Armed Forces. DRDO is not involved in the export of defence equipment. However, some of the DRDO’s developed products / systems, like radars, electronic warfare systems, missiles, naval systems, etc. can be exported to our friendly countries. Some countries have shown their initial interests to acquire DRDO developed systems. DRDO, being a designer of these systems, need to play a lead role to adopt these systems to customer needs (export version) after taking into account the national security concerns. Technologies of DRDO developed systems are transferred to industries for production and delivery to users as per their requirements. Production agencies can accept orders from other users after meeting the requirements of the Armed Forces. This information was given by Defence Minister Shri Manohar Parrikar in a written reply to Shri Ranjib Biswal in Rajya Sabha today. Su-30 aircraft of the Indian Air Force had recently met with an accident near Sheyur village located near Pune. A Court of Inquiry has been ordered to ascertain the cause of accident and loss to service property. The maintenance work on SU-30 aircraft is carried out in accordance with procedures specified in the Original Equipment Manufacturer (OEM) Maintenance Manuals and Servicing Schedules for the aircraft. This information was given by Defence Minister Shri Manohar Parrikar in a written reply to Shri Ishwarlal Shankarlal Jain in Rajya Sabha today. There has been a thrust on indigenous manufacture of defence equipment through the collaborative efforts of Defence Research & Development Organisation (DRDO), Defence Public Sector Undertakings, Ordnance Factory Board and the Indian Private Sector. The expenditure on capital acquisition in respect of direct orders placed on Indian vendors during the period 2011-12 to 2013-14 was 53.9 percent of the total. Allocation of Budget to DRDO is made as a part of the annual Budget of the Government which is approved by Parliament. There has been increase in the current financial year in the allocation of Budget for Research & Development (R&D) to DRDO. Under Section 3 & 7 of the Works of Defence Act, 1903, restrictions have been imposed by the Government upon the use and enjoyment of land in the vicinity of Air Force installations / establishment as specified in Gazette Notification issued by the Government from time to time. The restrictions notified are applicable from the date of its publication in the Official Gazette. Restriction on land upto 100m from the crest of the outer parapet of Air Force Station Arjangarh (Aaaya Nagar) has been imposed vide Gazette Notification dated 14.02.2007 and 13.01.2010 since the station area falls under two States i.e. Haryana and Delhi. This information was given by Defence Minister Shri Manohar Parrikar in a written reply to Shri Ramdas Athawale in Rajya Sabha today. · Ab-initio development of state-of-the-art technologies. · Technical / technological complexities. · Non-availability of infrastructure / test facilities in the country. · Non-availability of critical components / equipment / materials in the country and denial of technologies by the technologically advanced countries. · Failure of some of the components during trials / testing. · Increase in the scope of work during developmental phase. · Consortium approach is being used for design, development and fabrication of critical components. · Three-tier project monitoring approach has been instituted in the major projects/ programmes. · Project Monitoring Review Committee (PMRC) and Project Appraisal and Review Committee (PARC) meetings are held regularly to monitor the progress of ongoing projects / programmes. · Concurrent engineering approach has been adopted in technology intensive projects to minimize time-lag between development and productionisation of the systems. · Information Technology and modern management techniques are being applied. · Encouraging joint funding by users to ensure their commitment towards earliest completion. · Promoting synergy and better co-ordination among User Services, DRDO and production agencies through cluster meetings. During the last three years (2011-2013) and current year (2014), DRDO has successfully completed 45 projects (cost>Rs.2 Crore each). · Nomination of Nodal Officers for structured interaction between DRDO and Services. · Introduction of Integrated Financial Advice (IFA) Scheme for financial decentralization. · Appointment of a dedicated Chief Controller for Human Resources (HR). · Creation of Seven Technology Domain based Clusters headed by Directors General, Restructuring of DRDO HQrs, Creation of Directorate of Systems Analysis and Modelling (SAM) and Directorate of Quality, Reliability and Safety (QR&S). · Increase in budget for Extramural Research. 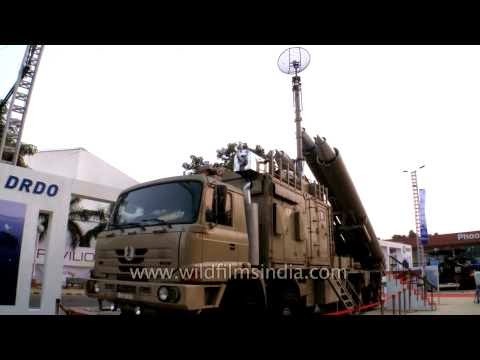 DRDO is involved in the development of technologies / systems primarily for Armed Forces. However, some of the weapons / systems developed for Armed Forces are being utilized by various Government agencies, like State Police, Border Security Force (BSF), Central Reserve Police Force (CRPF), etc. This information was given by Defence Minister Shri Manohar Parrikar in a written reply to Shri Mansukh L Mandaviya in Rajya Sabha today. The rate of annuity laid down by Government of J&K for Paramvir Chakra Awardees w.e.f. April 01, 2008 is Rs.1,25,000/- per annum. Subedar Bana Singh, Paramvir Chakra awardee, is also a recipient of the above annuity. The cash rewards for gallantry awardees varies from State to State as it is the prerogative of the State Governments. However, Central Government has fixed uniform monetary allowances for the recipients of Gallantry Awards.